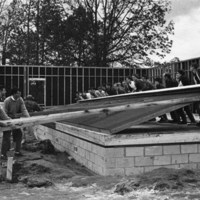 The Carpenters for Christmas and other volunteers raise a wall frame for the church. Marcia Aronoff; used by permission. 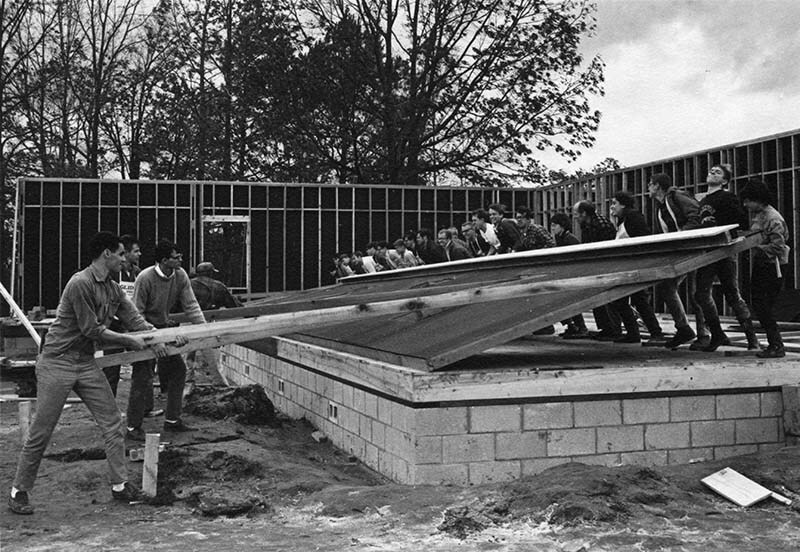 unknown photographer, “Raising a wall frame,” The Oberlin Sanctuary Project, accessed April 24, 2019, http://sanctuary.oberlincollegelibrary.org/items/show/96.